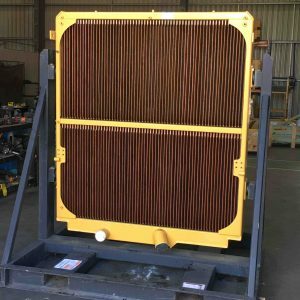 H-E PARTS COR COOLING (H-E PARTS) SPECIALIZES IN APPLICATION SPECIFIC HEAT TRANSFER SOLUTIONS FOR THE MINING AND OFF-HIGHWAY MARKETS. H-E PARTS OFFERS INNOVATIVE SOLUTIONS THAT PROVIDE ADDED VALUE BY EXTENDING SERVICE INTERVALS, IMPROVING PERFORMANCE AND INCREASING PRODUCTIVITY, WHILE REDUCING DOWNTIME AND ASSOCIATED LIFE-CYCLE COSTS. Expedited the request through to service completion within a 12 hour period. Coordinated manning, repair parameters and logistics. The radiator was received, installed and the dozer was back to work the next day, ensuring equipment downtime was kept to a minimum and production interruption minimalized. A full range of heat exchange products for all our customers’ on-site requirements, including bar & plate, shell & tube, and fans. 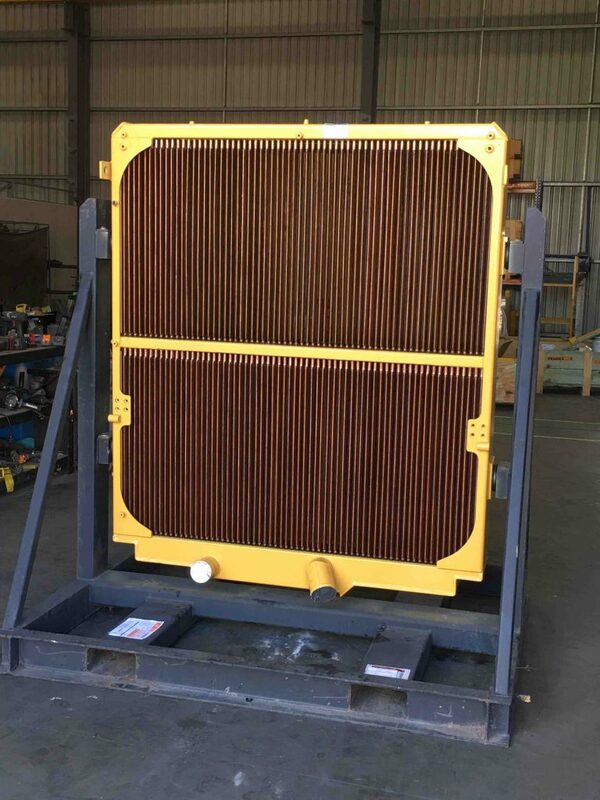 An extensive range of service exchange units for mining applications. H-E Parts offers high quality, innovative products that can be tailored to our customers’ specific requirements. H-E Parts in-house engineering, product, and service offerings, guarantee we support customers throughout the full product life cycle while working to award the end user with the lowest total cost of ownership. This ensures the same level of service performance is afforded to all of our customers. H-E Parts places priority on service delivery to ensure customers aren’t out of pocket when the unexpected happens.